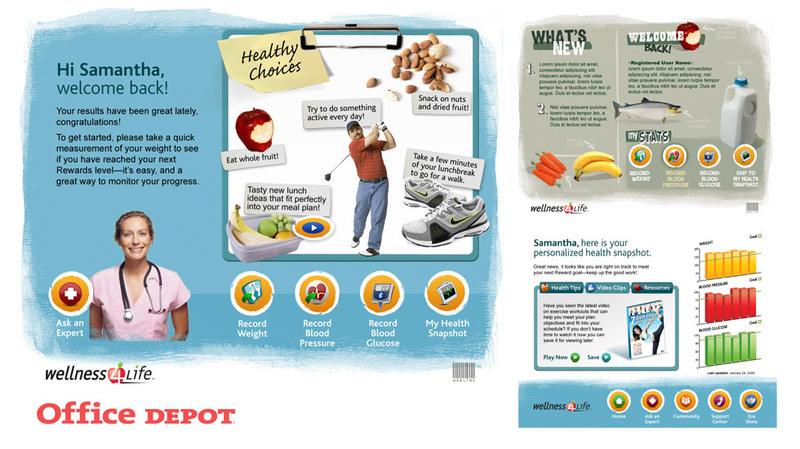 User interface design created for a health maintenance kiosk pilot program (developed by Wellness4Life) for Office Depot. Store employees could access the on-site kiosk and measure and track key levels such as blood glucose, heart rate, and weight. The data would be securely stored and readily accessible to employees to help them monitor their health over the long term. Visual design and interaction design.